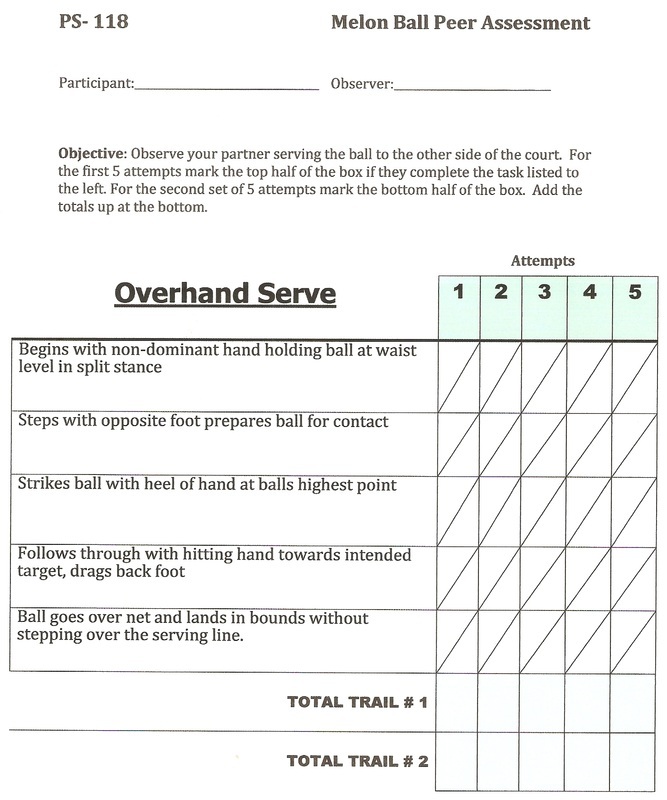 Reflection: In statistics lab we had to create an assessment for the activity "Melon Ball" through this assessment students were to demonstrate the overhand or the under hand serve. The students were graded by how well they performed with the fundamental movements of the skills that they had to perform. 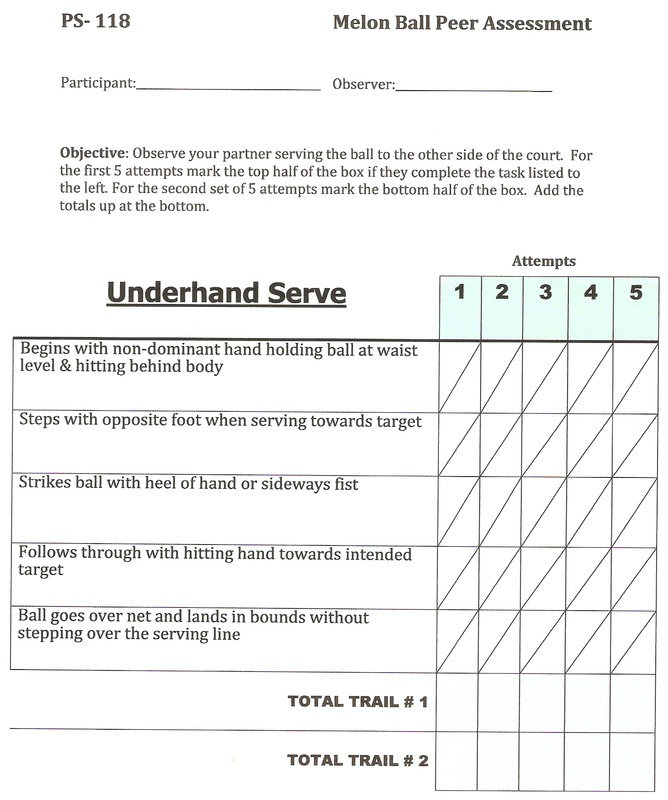 In my Track and Field activity class I also had to make an assessment for the students in the class. 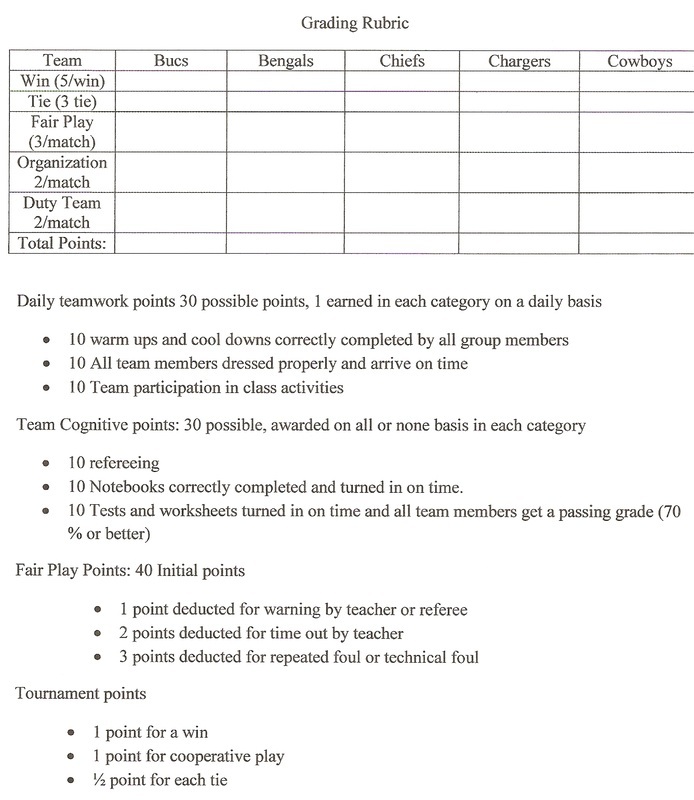 The students were graded on fair play, team work, team cognitive, and for tournament play. Element 5.3- Utilize the reflective cycle to implement change in teacher performance, student learning, and instructional goals and decisions. REFLECTION: During my Adapted Physical Education Lab I had to do daily write ups. In these discussions I explained what I had accomplished and what difficulties I faced with my student. These reflections are useful to keep track of progress on the students learning. Also you can track and see what activities the student performed well in and what activities they did not do so well in.